Razer has built a couple of arcade sticks for the PlayStation. The newest rendition, the Panthera Evo, seeks to stronghold the arcade scene with a refined product. The cost is high, but is this arcade stick a worthy $200 peripheral? Upon opening the box, I perceived the Panthera Evo as massive. Its dimensions are 15 inches by 10.2 by 2.5. Most of the surface of the Panthera Evo is empty, with the bulk of the button layout on the top-right-most of the peripheral. Really, only the joystick is on the left half of it. On that note, it took less than ten minutes for me to be okay with its overall size. The empty space allows your arm to rest comfortably without feeling constricted. On the long edge closest to you, a slight angle drops off the face. This drop helps to grant a more natural resting position for your arms. The Panthera Evo is wired only. The immediate advantage to this is that there is zero input lag, which is paramount to success in fighting and arcade games. The cord is ten feet long, or about 30.5 centimeters, which accommodates my less-than-ideal gaming situation perfectly. I do not have a proper table or surface for an arcade stick to rest on, but its solid shape rests comfortably on my lap without my arms growing tired. This includes either sitting cross-legged or feet flat on the floor. Though, as it’s been nearly fifteen years since I propagated an arcade, my hands needed some reconditioning. Cords are frustrating to deal with, whether the device is in use or in storage. Razer thought of the latter circumstance by providing a way to completely store the cord internally. The core body of the arcade stick feels hollow, which contributes to how light it is. By feel alone, it weighs less than half of what a PS4 Pro weighs. I forgot I had a device in my lap half the time. Even so, Razer includes a concealable cubby hole in the back, with attached rubber tie, to enclose the entire cord. This includes the base. The opening has a cord-sized divot in it, allowing the base to be pushed into the base for complete concealment. This is a much-welcomed touch, as a protruding cord makes for very inconvenient storage with anything. The entire arcade stick is made of plastic, with the top surface being a layer of protective clear plastic. All the buttons are mechanical with the joystick staying a Sanwa to boot, making them hyper-responsive. The plastic framework does not cheapen the product in terms of how it operates and feels. If anything, it adds to that authenticity that came with an arcade setting. One significant difference between this and an actual arcade kiosk is that these buttons don’t need anything close to a slap to do what you want them to do. All PS4 buttons are included as well. This includes the Touch Pad and PlayStation Button. Even better still are the Options and Share buttons on the right side of the chassis. Since these buttons are so responsive, this is a thoughtful decision. Just imagine having those buttons on the face and accidentally tripping the share button while juggling an opponent. Bye bye, victory. Hello, counterattack. For me, the biggest surprise with the Panthera Evo is that it includes a headset port. This means that you do not have to juggle a controller alongside you, if you use a wired headset like I do. That said, the audio quality is not stupendous. However, I use my PlayStation headset wired to my controller on a regular basis. Using my headset wired with the Panthera Evo yields the same quality of sound that I have when connected to a controller. Even my microphone quality is the same. So, consider it like a big DualShock 4 on this front. Coincidentally, a traditional controller is still necessary. The PS4’s USB drive powers the Panthera Evo exclusively. This means that, like many peripherals, the Razer cannot power on the PS4 by itself. Some TVs can automatically turn on connected devices. If you’re like me, my 4K TCL cannot do that. So, I have to have a controller next to me at all times. 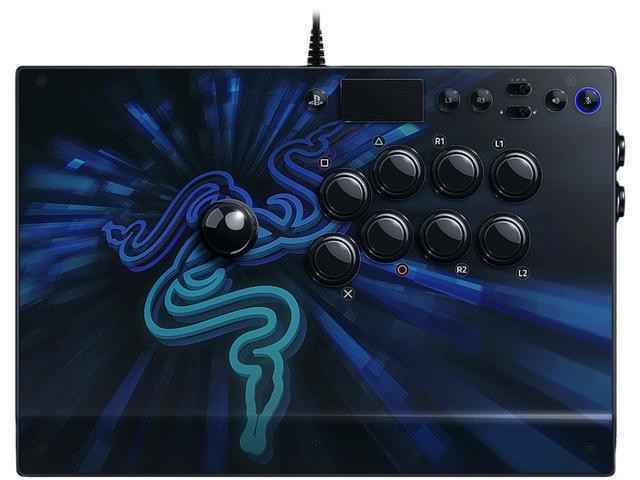 Really, the Razer Panthera Evo Arcade Stick is essential for fighter fans looking for that extra edge. Conditioning may take some time, but the payoff is monumental. Its steep cost is an undoubted deterrent for casual players, running in at $200. However, if fighters are your bread and butter and a controller is just not enough, the Panthera Evo must be your next gaming purchase. Review unit provided by Razer. 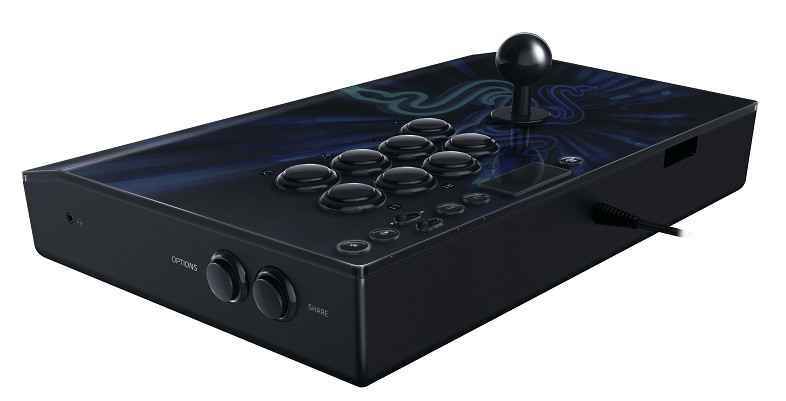 The Razer Panthera Evo Arcade Stick is a must-buy for arcade fans looking for that extra edge. The entire product is refined, from the Sanwa joystick to the mechanical buttons, and it does everything you need it to do. The price tag is rather steep, so it's not a peripheral for everybody. Those looking to invest in their gaming future will be aptly rewarded with the Pathera Evo.